See more objects with the color darkkhaki sienna darkolivegreen or see all the colors for this object. This is a Album page. It was created by Whitney Warren Jr.. It is dated June 18, 1888 and we acquired it in 1943. Its medium is graphite on off-white wove paper tipped into binding with fabric. It is a part of the Drawings, Prints, and Graphic Design department. 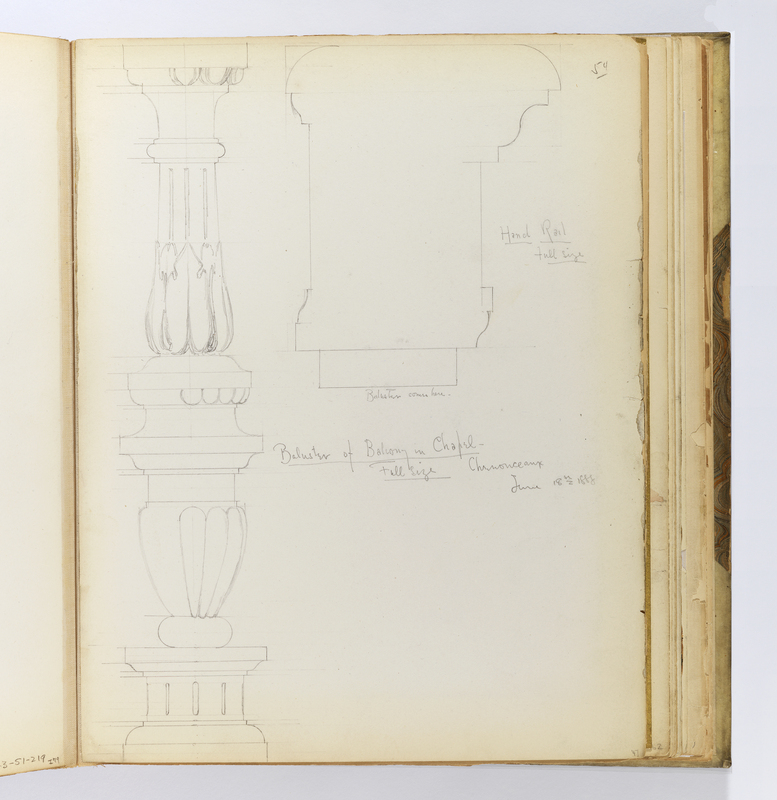 Recto, in graphite, upper right corner: 54; lower right corner: 47; clockwise from upper right: Hand Rail / Full Size; Baluster of Balcony in Chapel - / Full Size Chenonceaux / June 18th 1888; Baluster comes here.